Jeff Riddle is the founding Minister of Christ Reformed Baptist Church. Pastor Jeff has over 25 years of practical ministry experience including service as a missionary in Budapest, Hungary and as a local church pastor in Virginia. Pastor Riddle is a graduate of Wake Forest University and the Southern Baptist Theological Seminary. He also holds a Ph.D. in New Testament. He has been happily married to his wife Llewellyn for over 27 years, and they have five children (Hannah, Lydia, Samuel, Isaiah, and Joseph). 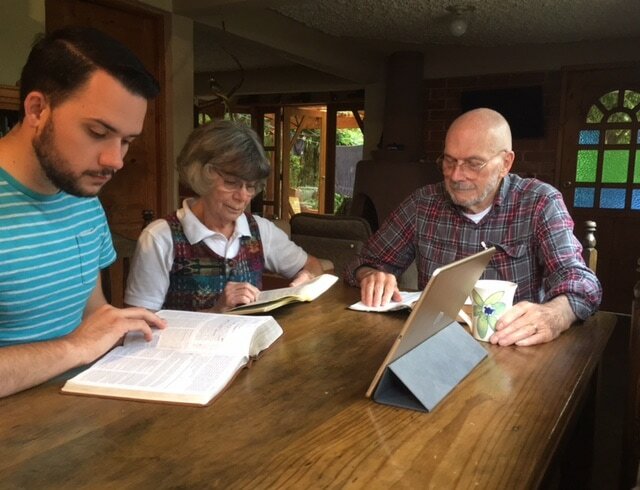 Jeff Clark (right) with wife Barbara and grandson Caleb studying the Bible on a recent trip to Guatemala. Jeff Clark has served as a Ruling Elder at CRBC since 2016. Jeff is a native of Maine. He studied theology at Lynchburg Baptist College. Jeff planted a church and began a church-based Christian school in Maine. He also pastored a church in Virginia and served for 13 years as a missionary to Guatemala. Jeff has been married to his wife Barbara for 55 years, and they have two adult children, eight grandchildren, and four great grand-children. They live in Louisa, Virginia. Tom Woolfolk has been a member of CRBC since 2012. He is a native of Louisa and a graduate of Longwood College. He works in his family's logging and construction business. 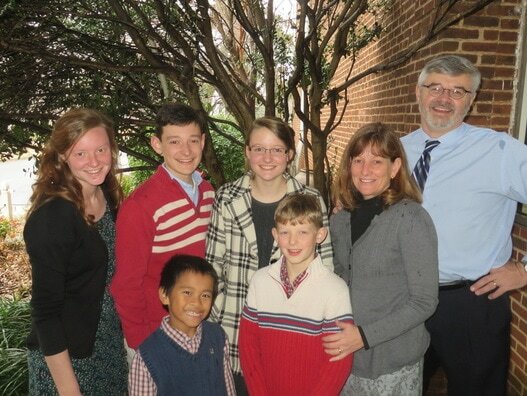 Tom is married to Carrie and is blessed with three sons (Joel, Luke, and Levi).